Please note that new versions of the following player registration forms are now available. 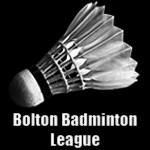 Players must now be registered along with the BADMINTON England membership number. The forms are linked below and can also be found in the 'Downloads' section.